Alun Wyn Jones, Samson Lee and Liam Williams all passed fit. AFTER A WEEK he’d like to forget, Wales head coach Warren Gatland has been handed a triple fitness boost ahead of their opening World Cup game against Uruguay. Alun Wyn Jones, Liam Williams and long-term absentee Samson Lee have all been passed fit to play against the South Americans on September 20. Wales were rocked when both Leigh Halfpenny and Rhys Webb were ruled out of the tournament with devastating injuries against Italy last Saturday, while the fitness of Lee and Williams was a great concern, with the duo having missed all three warm-up games. Lee suffered a horrific achilles tear in the Six Nations meeting with Ireland in March and hasn’t played since, while Williams underwent foot surgery in June. Alun Wyn Jones made his first appearance of the season in the Dublin warm-up game against Ireland last month, but was left as a doubt for the start of the tournament with a knee injury. However, Wales’ backs coach Rob Howley says the trio have resumed full training, and that both Williams and Lee are expected to start against Uruguay. 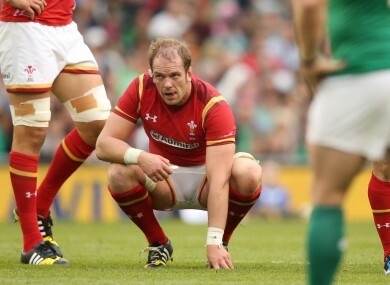 “Alun Wyn Jones is fine, Samson Lee and Liam Williams have played a full part in training. Samson has played a full part in scrummaging,” said Howley. “I think it’s fair to say Liam and Samson would have to play against Uruguay to be involved against England and they are likely starters against Uruguay. Time on the field is vital after so long out. Email “After a hellish week, Wales have finally got some good injury news”. Feedback on “After a hellish week, Wales have finally got some good injury news”.